One of the pleasures of summer is breakfasting on our terrace overlooking the blue waters of the Aegean Sea: or relaxing in the evening with an ice-cold beer as the sun sinks into the same waters, now turned fiery orange. Mostly the sea is empty, but occasionally the luxury schooners and motor yachts of the rich and famous pass by – and I imagine a time when the same seas would have carried galleys of the Ionian League, of Imperial Rome or the Byzantine Greeks, to marble cities up and down the coast, as they pursued their business of trade or conquest. 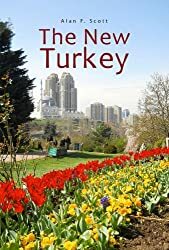 The biggest problem most outsiders have in coming to grips with the reality of modern Turkey is its location on a patch of earth which has seen the procession of so many civilisations, a normal human brain switches off from information overload. Mesopotamia has long been known as the cradle of civilisation. If that’s true, the land of Turkey/Anatolia/Asia Minor must, in addition, be kindergarten, primary school, junior high and high school. Archeological excavations at Göbeklitepe in Southeast Turkey have unearthed religious structures erected in the tenth millennium BCE. From then on, one civilisation succeeded another, with the last major world empire here, that of the Ottomans, surviving through to the twentieth century. Once again, this July, I found myself in the town of Selçuk, visiting an English friend who has made his home there. It’s a very tourist-friendly place, as witnessed by the plethora of visitor accommodation. I passed by hotels and pensions with the enticing (at least to an antipodean like myself) names of Canberra, Wallabies, ANZ, Kiwi, Outback, and Boomerang, settling finally on Jimmy’s Place, with the added attractions of WiFi internet and air-conditioned rooms. Well, it wasn’t my first visit to Selçuk, so I had no need to jostle with tourist crowds at the well-known attractions – but for those of you yet to discover the historical and cultural delights of Aegean Turkey, let me mention a few. Most visitors with an interest in history come to explore the ruins of Ephesus, a major port city of classical Greek and Roman times, and one of the largest cities in the Mediterranean region in those days. With its paved streets, impressive library, open-air theatre, luxury villas and well-preserved public toilets, Ephesus has much to excite the imagination. A short distance down the road is the site of a temple dedicated to the goddess Artemis. There’s not much left of it these days, but in ancient times it featured on the list of the World’s Seven Wonders. Those with a more specialized interest in religious history tend to focus on later days when Ephesus was home to an early Christian community, to whom the Apostle Paul addressed one of his famous epistles. It seems likely that Jesus’s mother Mary spent her last years here, having been entrusted by her dying son to the care of the disciple John. There is some uncertainty over the authenticity of the House of the Virgin Mary, located on nearby Bülbüldağı (Nightingale Mountain), although Pope John Paul II did see fit to drop by and pay his respects in 2004. Less open to debate is the ruin of the huge 6thcentury basilica, supposedly built over the grave of St John, and one of the holiest churches of the Byzantine Age. Christendom began to lose its grip on Asia Minor after the Seljuk Turks defeated the Byzantine Emperor’s army in a major battle in 1071. Before the Ottomans rose to prominence, the Selçuk area fell under the sway of a local clan known as Aydınoğulları. One of its members, İsa Bey, had a mosque built in 1375 which students of Islamic architecture consider important for reasons we needn’t go into here. An interesting side issue, however, is the fact that certain elements from the Artemis Temple, including some of the columns, were apparently used in its construction. It’s not easy for people like me, from New World nations whose recorded history emerged from the mists of prehistory two to four centuries ago, to fully appreciate the time-frames in which Anatolian civilizations appeared and disappeared. The Mosque of İsa Bey itself fell into disrepair for many years, even converted to a caravanserai at one stage. It is still not fully restored. When it was built, more than six centuries ago, the famous temple from which the columns were taken had been deserted and derelict for perhaps a thousand years, its pagan worshippers long-forgotten. 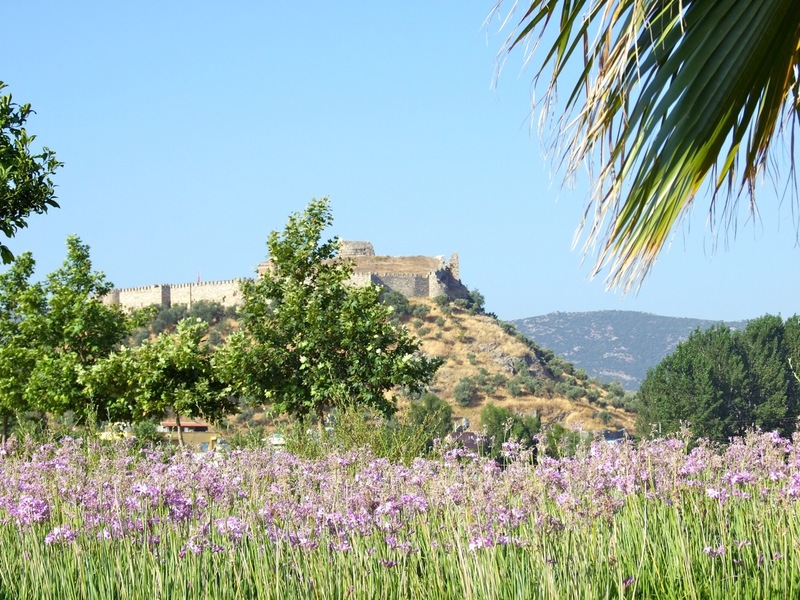 These are some of the highlights of Selçuk itself. However, visitors often use the town as a convenient base from which to explore ancient sites further afield: the famous lime-stone terraces of Pamukkale and the associated ruins of Hierapolis; the ancient city of Aphrodisias with its remarkably intact 25,000-seat gladiatorial stadium; the impressive excavations of Priene and Miletos, and the remains of the Temple of Apollo at Didyma. Less well-known, perhaps, is the site of Magnesia on the road from Selçuk to Söke. I was lucky to go with my English local guide, Robert, who was able to point out details and inscriptions which would undoubtedly escape the notice of the casual visitor. The city was known by the Romans as Magnesia-on-the-Meander (source of the English word meaning to wander aimlessly) to distinguish it from the other Magnesia further north from which sprang the modern Turkish town of Manisa. It was a city of some size in ancient times, located in a fertile region with commercial and strategic importance. Currently archeologists are working to excavate a large stadium long buried by a huge landslip, and consequently very well preserved. I too have made my home in Turkey, though my base is the megalopolis of Istanbul. I do try, in my spare time, to keep up with archeological developments around the country, and even to visit sites of special interest. The task is endlessly challenging and full of interest, but ultimately hopeless, as a small selection of recent news items will demonstrate. Archeologists from several nations apart from Turkey are currently engaged in extensive digging in numerous sites around the country. Like me, you may not have heard of the ancient city of Kibyra, but I can now tell you that it was a city in Southwest Anatolia near the modern Turkish town of Gölhisar. It is believed to have been founded by the Pisidians about whom you may also, understandably, be a little hazy) in the 3rdcentury BCE. During its five hundred years of prominence, it became one of the largest urban centres in the region, with a cosmopolitan population of Phrygians, Lydians, Lycians and Carians, reaching perhaps 200,000 at its peak. So it’s not altogether surprising that archeologists have recently uncovered a pavement which they believe may prove to be the world’s largest mosaic. Another spot you may not be familiar with is the mound of Kuriki, near the Southeast Anatolian city of Batman. If you are new to the geography of Turkey, you may be sceptical that such a city exists, but I assure you, it’s true. Excavations here, in the upper reaches of the Tigris River, have been under way for three years and have established that human occupation was continuous from the late Chalcolithic Age (around 5500 years ago). Just last week, archeologists from Turkey’s Çukurova University brought to light a necropolis from the period when imperial Rome was engaged in a struggle with the neighbouring Parthians (of whom I have written elsewhere). So far, finds have included copper jewellery and pottery jugs and containers. 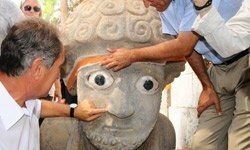 News of the day in our local paper on 29 July was the discovery, in excavations near Hatay, of a one-and-a-half tonne statue of a Hittite King, believed to be Suppiluliuma. Now I don’t presume to understand how these people can possibly know that, but at least the Hittite language is of Indo-European origin, which makes it more closely related to English than modern Turkish. Still, the Hiitites built an extensive empire that peaked in the 14th century BCE, which is probably why Suppiluliuma is not such a common name in English-speaking countries today. The chief city of the Hatay province, incidentally, is Antakya, the Turkish version of a place Westerners may know better as Antioch. It’s peripheral to my present purpose here, but Antioch was founded by one of the Great Alexander’s generals around 300 BCE, and grew in a short time to rival Alexandria in size and importance. It is said to be the place where Christians were first called Christians, and visitors can check out the grotto church founded by the Apostle Peter in the first century of the Christian era . . . but that’s recent history compared to the Hittites. As you can see, archeologists have much work ahead of them, without the need for any new discoveries. Unfortunately, or fortunately, depending on your point of view, almost every new construction, large or small, turns up previously unknown and unexpected links with the past. I mentioned above the Turkish city of Manisa, not far from Turkey’s third largest urban centre, Izmir. Labourers working on the foundations of a road underpass last week came across the remains of a necropolis, tentatively dated to the classical Roman period. Again, perhaps, the find is not totally surprising, given that the ancient city of Sardis is just up the road. Sardis was capital of the kingdom of Lydia, whose 6th century BCE ruler, Croesus, has come down to us as a byword for serious wealth. The city retained its importance under Persian occupation, and the discovery there of a large synagogue apparently obliged historians to reconsider their views about the place of Jews in the later Roman Empire. Well, if you have followed me this far, and your mind is not thoroughly boggled, congratulations. As I said above, one of the principal reasons outsiders struggle to understand Turkey, and perhaps Turks themselves find their own identity a little confusing, is the incredible mosaic of races, cultures, languages and civilizations that represents the heritage of those who inhabit this patch of the Earth’s surface. I think, if I were a young student in Turkey today, I would give serious thought to embarking on a career in archeology. Perhaps I wouldn’t become as rich as Croesus, but it’s hard to imagine the spectre of unemployment being a serious threat. This entry was posted in Archeology, Christian history, Göbeklitepe, Ottoman Empire, Roman Empire, treasures of Turkey, Virgin Mary. Bookmark the permalink. How beautifully written — sad to read as I am about to leave. But I'll be back soon inshallah! Loved reading your Blog……so informative and beautifully written. I've been to Selcuk a number of times with visits to Virgin Mary's place…..and Ephesus. Love the ruins at Ephesus, I spend about 2 or 3 full days exploring, I can't get enough of it. The Virgin Mary's house is a nice visit, but the ride up freaks me out as my husband jokes going up the mountain road.eekkks! When we go to Turkey to visit my in-laws in Izmir it's not very far so we go quite often into that area. But I must admit I've never been to the Selcuk Castle yet….but to the ruins of the Basilica or church where John is buried. Your article seemed to be long but it was really fun to read it.